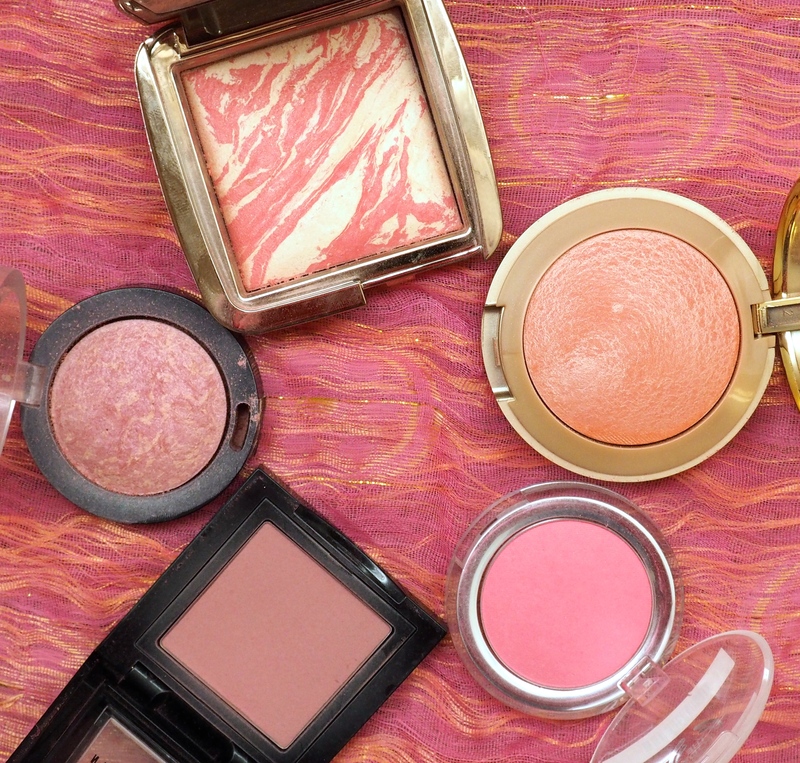 My life would be totally incomplete without blush, I rely on it completely to brighten up my face and make me look alive especially on those less than perfect days! So today I thought I would share with you my favourite blushes in my collection. First up is the newest but already one of the most loved in my collection, it’s the Hourglass Ambient Lighting Blush in Diffused Heat – Hourglass has killed it lately with their entire ambient lighting range, I have got one from each of their ranges and this blush is probably the most used out of them all! It is such a natural looking peachy pink shade with a slight shimmer through it as well as the ambient lighting powder running through it with gives the perfect lit from within glow. This is perfect for those days that I don’t feel so healthy and am in desperate need of that glow! Next up is a great drugstore find the Milani Baked Powder Blush in Luminoso – One of the beauty worlds favourites! It again is a beautiful peachy pink shade with a stunning gold shimmer through it, I absolutely love this on a day to day basis to add some colour into make face and with that touch of shimmer I just love the healthy glow it gives off. I am clearly all about the glow! Now onto the matte blushes, I picked this one up out of necessity on holidays when I lost my other blush but It turned out to be a lucky surprise. It’s The Body Shop All-in-One Cheek Colour in Guava – This is such a super simple pop of pink colour that looks great in the summer to give you a nice flush on the cheeks. The shade is not super pigmented which is good in this case as you can’t really go overboard with it, no clown face over here! Another matte love of mine is the Bobbi Brown Blush in Sand Pink – This is a great winter shade, it adds some depth to the face and although it doesn’t look subtle in the pan it definitely looks subtle on the skin. I often use this when I’m wearing a berry toned lip to keep the same kind of tones in the look. Finally lets get back to the shimmer, I have been loving the Max Factor Creme Puff Blush in Seductive Pink – I purchased this beauty as I heard it was a dupe for the Hourglass Ambient Lighting blushes and I really think they are! It’s beautifully creamy like the Hourglass one as well as the two shades running through the blush giving a nice sheen as well as a great depth to the skin. Now these are not the cheapest drug store blushes in the world but If you don’t want to all out for the Hourglass blush I would definitely recommend these! So there you go my favourites blushes in my collection! What are your favourite blushes? Do you have any of these? Thanks lovely! I sure will!